On Tuesday 5th June just before 4am the doorway of a Gurdwara in Leeds was deliberately set alight. Panth Dardhi Sikh Sangat all over the U.K. were angered at this senseless attack. 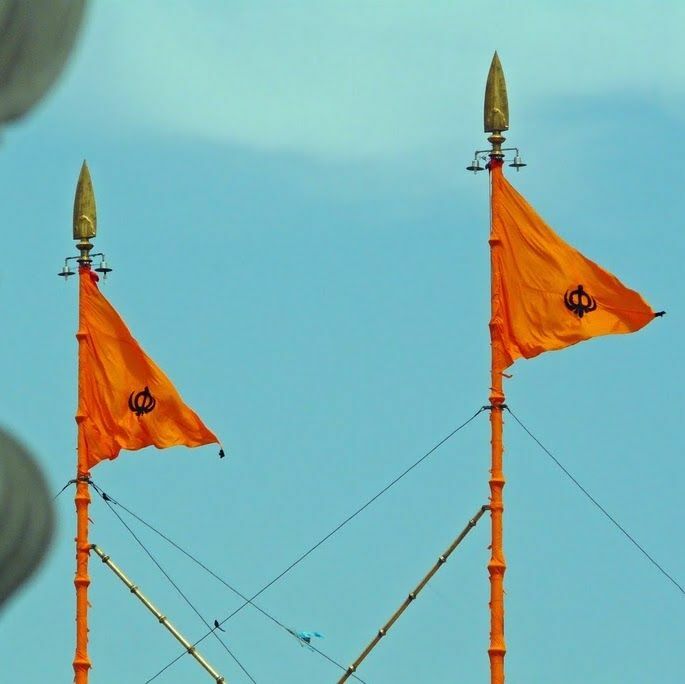 This attack is particularly provocative given the month of June as Sikhs all over the world remember the equally senseless violence as India troops massacred the congregation in their bid to occupy Sri Darbar Sahib, eliminate Sikh leadership, and crush the very spirit of Sikh resistance. This attack, like all attacks on the Sikh Panth, was met head on by Sikh Naujawan. Sikh Naujawan mobilised, and at noon that day a convoy of 8 vehicles left from the midlands to conduct their investigation. Upon arriving in Leeds the convoy visited all the pubs in the vicinity of the Gurdwara and made it known to the locals that they wanted the identity of the culprit(s). As the investigation progressed it became clear that this was the work of a local facist group. Two pubs were identified which were very close to each other, Sikh Naujawan visited these pubs and demanded the attacker come forward, a local came forward to give the name of the attacker who had visited the pub bragging about his attacks. The convoy of Sikh Naujwan began a search of local estates, asking locals and passing vehicles, eventually the search paid off as the home of the attacker was located. Sikh Naujwan spoke with a family member of the attacker and demanded that he hand himself over to the Naujawani or the police. Later that day the culprit made himself known to the police and surrendered. In the U.K, Sikh youth have been at the forefront of Panthic Seva in the most difficult of circumstances, from combatting religiously motivated group based child sexual exploitation (“grooming”), to holding corrupt Gurdwara management committees to account. The National Sikh Youth Federation commends Sikh Naujawan for showing true Sikhi spirit, dropping their worldly affairs to prioritise the Seva of our Gurdwareh.